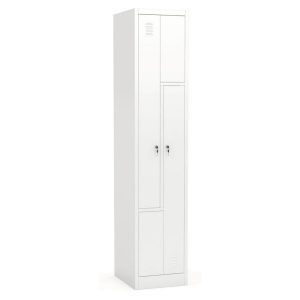 METAL STORAGE 2 Tier Z-Type Locker – Studio White. 1800mm high x 380mm wide x 450mm deep. Every tier includes 1 rail. 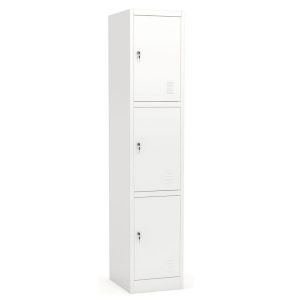 METAL STORAGE 3 Tier Locker – Studio White. 1800mm high x 380mm wide x 450mm deep. 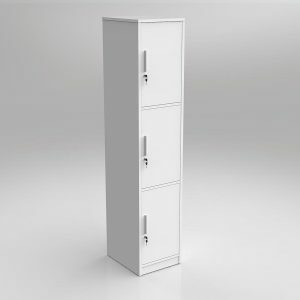 Aero/Axis/Anvil Locker Single – 1800 high x 380 wide x 450 deep. Studio White 18mm carcase, flush joined construction with three doors. Set on plinth base. 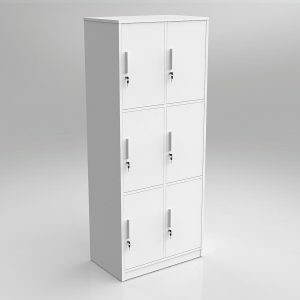 Aero/Axis/Anvil Locker Double – 1800 high x 738 wide x 450 deep. Studio White 18mm carcase, flush joined construction with six doors. Set on plinth base.